A ctbl file extension is related to the 3D Slicer an image analysis tool for Windows, Mac and Linux. A ctbl file contains colors module used to managing 3D Slicer's color look up tables. The ctbl file extension is associated with the 3D Slicer, a visualization and image analysis software for Microsoft Windows, Mac OS X (macOS) and Linux systems developed by BWH (Brigham and Women's Hospital). The .ctbl file stores colors module used to managing color look up tables and for translation between an integer and a color value for display of models and volumes. 3D Slicer colors module file is stored in simple text file format and it is viewable in any text editor. Sometimes also uses *.txt file extension. 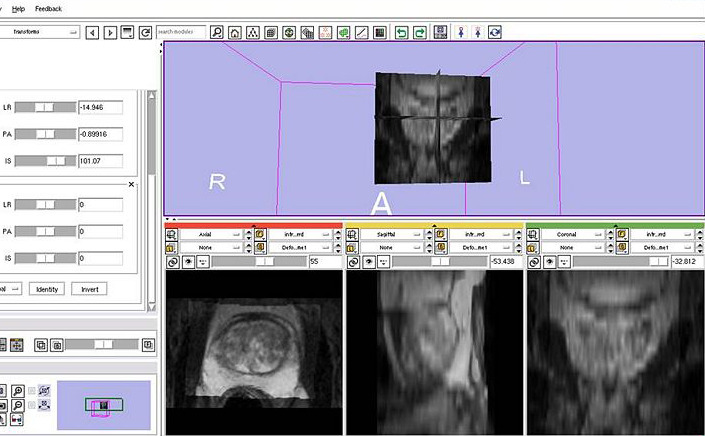 3D Slicer is multi-platform app for visualization and image analysis available for Windows, Linux and Mac. Use 3D Slicer to open *.ctbl color module files. Click on the tab below to simply browse between the application actions, to quickly get a list of recommended software, which is able to perform the specified software action, such as opening, editing or converting ctbl files. Programs supporting the exension ctbl on the main platforms Windows, Mac, Linux or mobile. Click on the link to get more information about 3D Slicer for open ctbl file action. Programs supporting the exension ctbl on the main platforms Windows, Mac, Linux or mobile. Click on the link to get more information about 3D Slicer for create ctbl file action. Programs supporting the exension ctbl on the main platforms Windows, Mac, Linux or mobile. Click on the link to get more information about 3D Slicer for settings ctbl file action.